I blame January. It’s the middle of winter, it’s cold, it’ dark all the time, and there’s absolutely nothing interesting going on. Nothing. At. All. I suppose one could say that finding a new salad recipe is interesting but that’s not what I really had in mind. 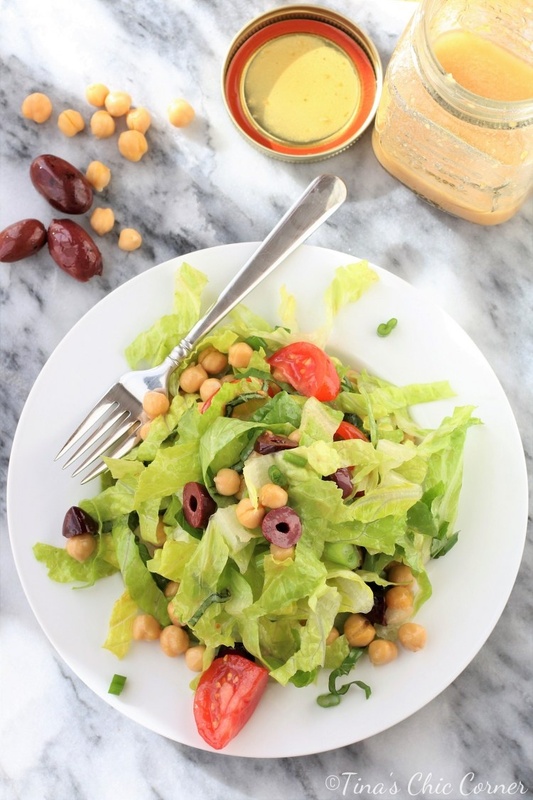 I’m really into this salad combo, but I’m especially loving the Kalamata olives and chickpeas. And this salad dressing is the bomb digity. I have to admit that I’m not always in the mood to make a dressing because it tends to take too much time, but this one is quick and easy to make. The ratio of vinegar to oil is spot on and the garlic makes it out of this world delicious. It’s a basic dressing that can go on all sorts of salads so I think this is going to be my new go-to homemade dressing. I’m pretty sure that I am way more excited about this salad than I should admit to you. I kept asking my husband “Isn’t this the best salad ever?” His response was, “It’s alright. It’s a salad. 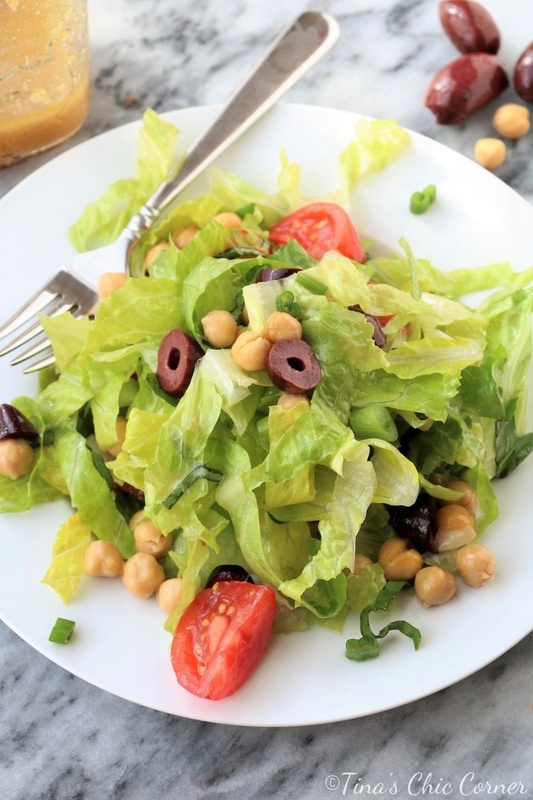 The chickpeas are hard to pick up with a fork.” Maybe I’m more into this salad because I eat a lot of them and finding a new one to add to the rotation is like finding a new best friend. Or perhaps I’m overly excited about it because it’s January and I’m easily amused. Either way, this salad is a winner. 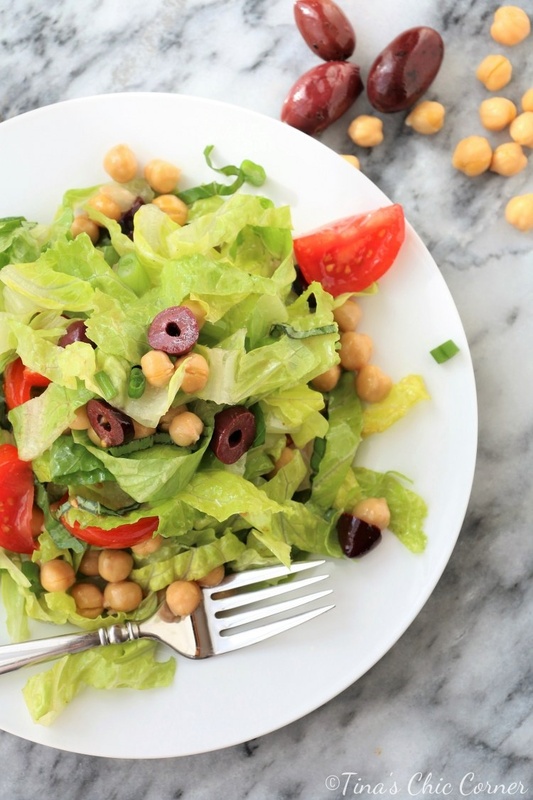 In a large bowl, add the chopped lettuce, chickpeas, chopped tomato, chopped olives, sliced basil, and sliced scallions.